With Issac on it’s way to the Gulf Coast, we Polish gals can’t help but think about how will welcome him. Sure, Hurricanes are force to be reckoned with but this one will be a category 1. We’re hoping we’ll all be off from work and will get to have a Hurricane Party with our pals! If this is the case, we might as well do it up in style! 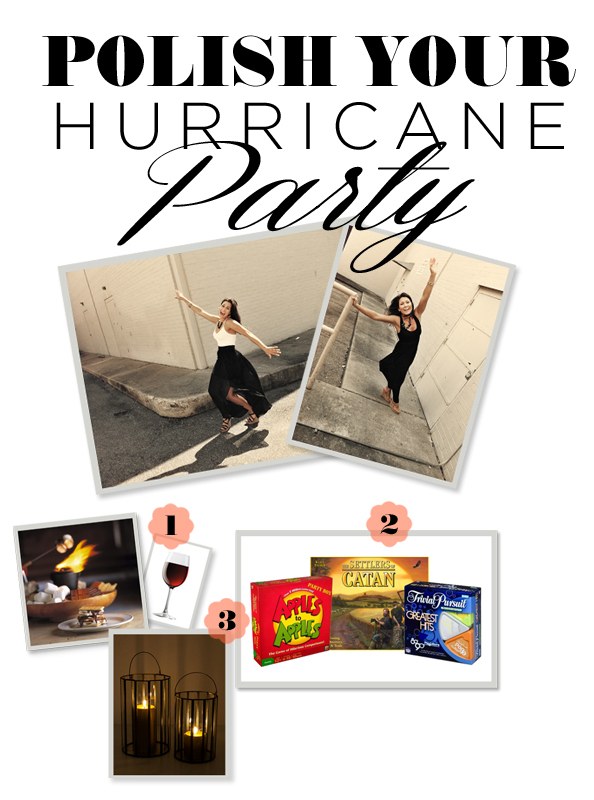 won’t it be special to get all dressed up to have a Hurricane Party? You don’t have to, but we thought we’d take this opportunity to highlight some of our hurricane appropriate dresses! They are sheer and really take to wind nicely. They would make you look so cool walking from the car to the house! Remember, we’re always thinking of ways to be Polished and wearing one of these dresses is just the thing to do during a hurricane! If you want to be more comfy, go for a cute top and some shorts? Remember, you need to keep things cool if the A.C. is out! Board games are old-school so you never play them when the electricity works.. Why not play them when it doesn’t? Seriously, it is SO much fun! We suggest Apples to Apples, Settlers of Catan or the always classic, Trivial Pursuit! Card games are super fun too… especially Spades and Spoons! Don’t forget the candles! Flashlights are so boring.. glam it up with candlelight Romantic, yes?! We hope no one has a rough time during this hurricane… we hope there is no devastation! We just want to make the best of the situation and so we thought it’d be fun to Polish the Hurricane Party! Woo Hoo!